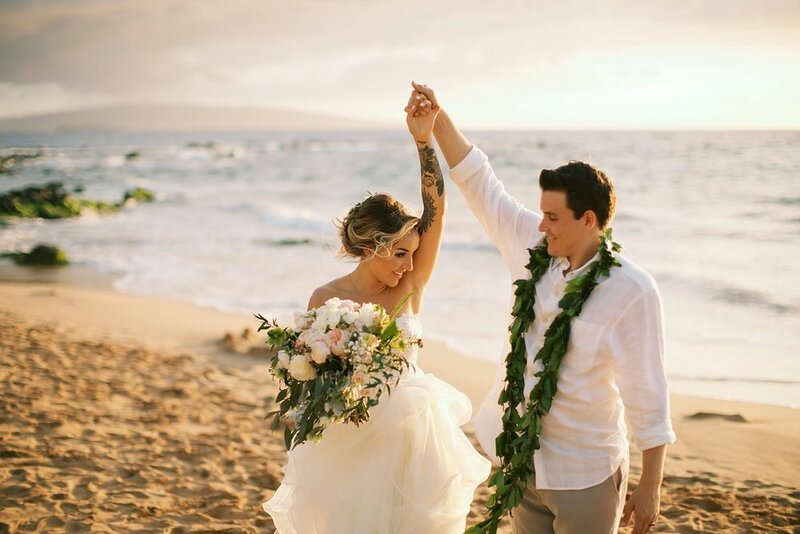 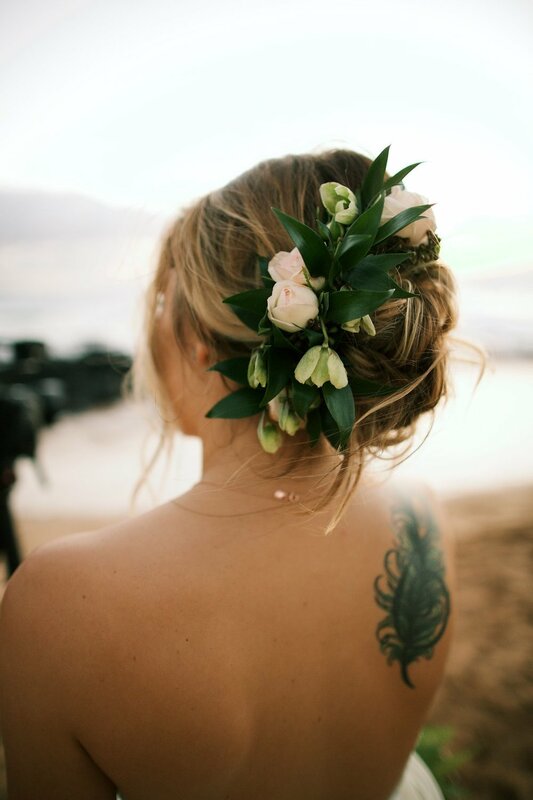 Cambria and Will's destination wedding was held on the oceanfront lawn at Andaz Maui at Wailea Resort. 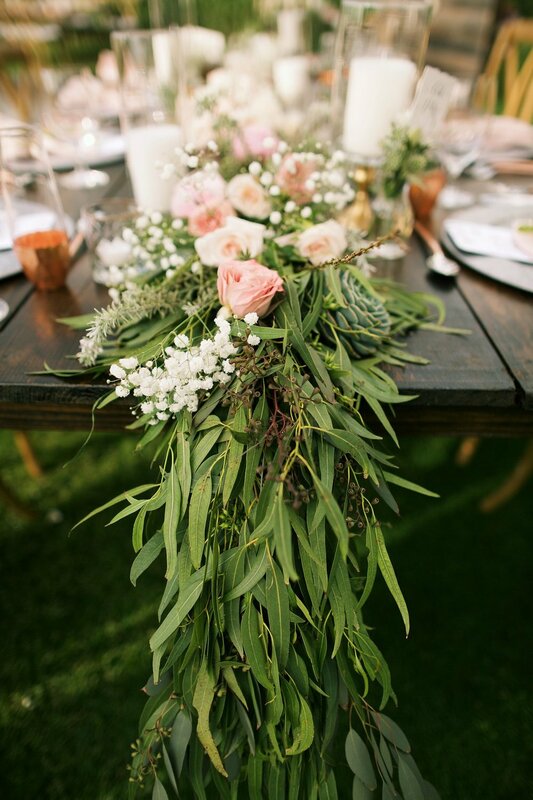 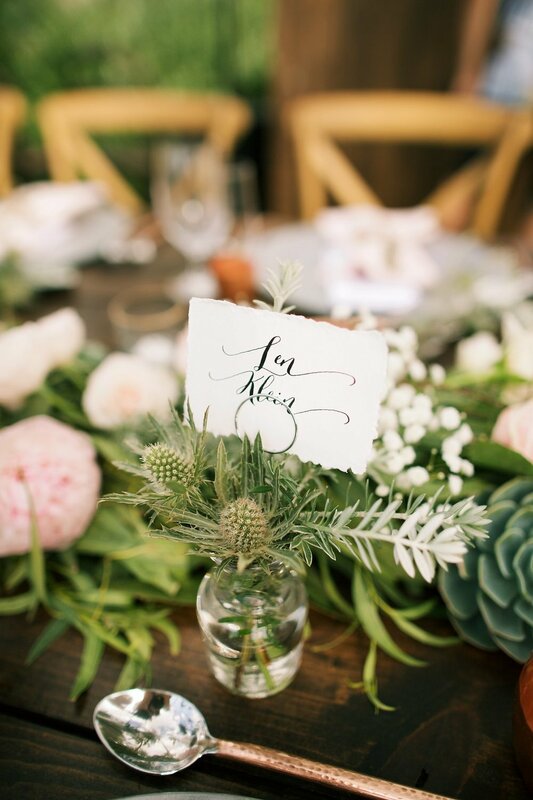 It was a bohemian dream with lush blush and ivory floral centerpieces and garlands of greenery. 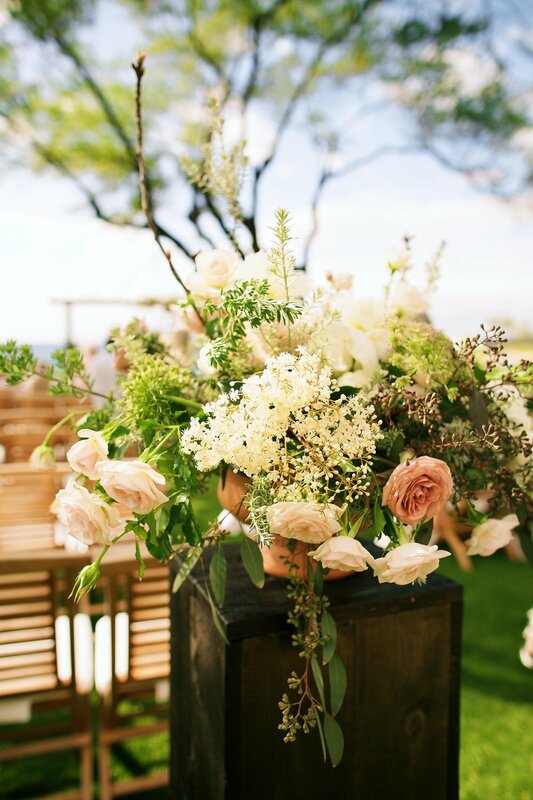 The sweetheart table featured macrame hanging decor on a backdrop of reclaimed wood. 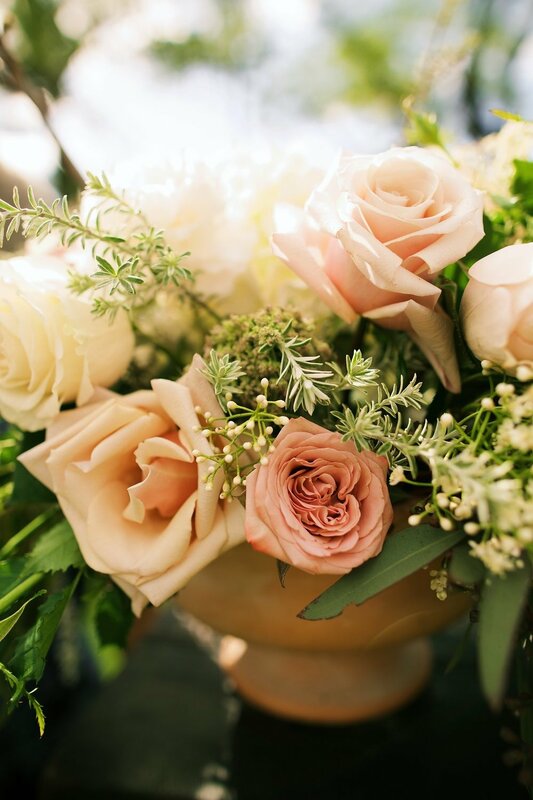 Thank you for the beautiful photos, Anna Kim!